Flat For Sale in Harrow for Asking Price £250,000. For those wishing to get on the property ladder, this first home in the form of a First Floor Studio offering a contemporary integrated Kitchen, fully tiled Bathroom, flooring throughout, Terrace and within a short walk to all that Harrow Town Centre has to offer. 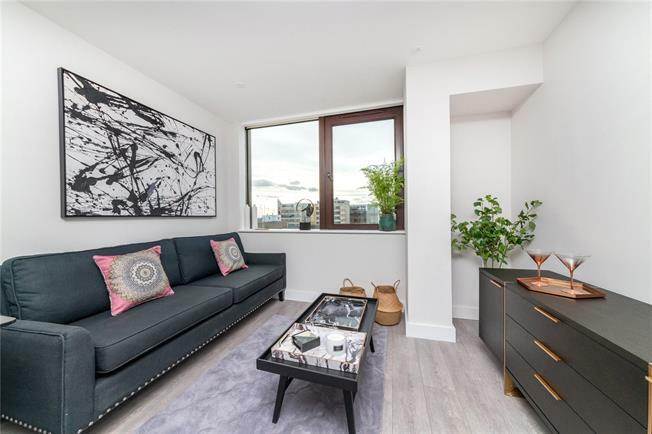 The apartment is part of a former office building which has been converted, by Harrow Holdings Limited, into 92 new apartments to include Studios, 1 & 2-Bedrooms. Queens House is conveniently situated for the Town Centre with its range of shops, eateries, cinema, gym and having excellent links to central London via Harrow on the Hill station. - Engineered wood flooring to living area and Hallway. Tiled Bathroom and Ensuite.